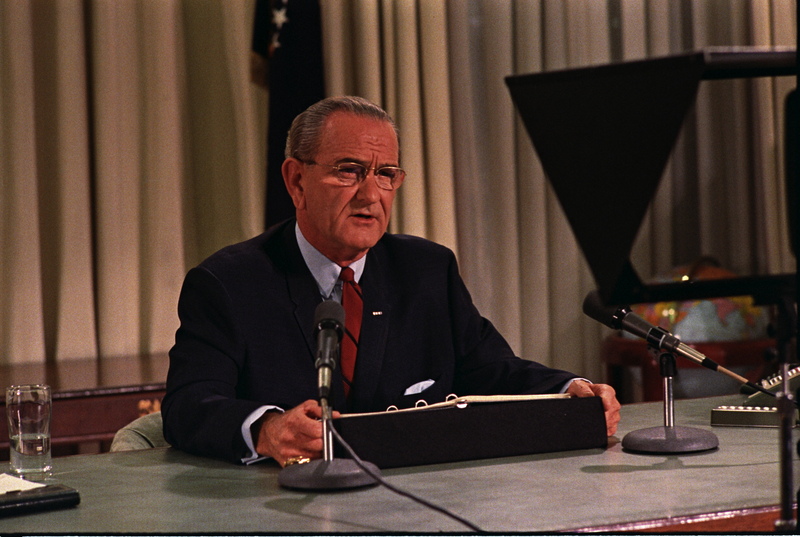 It was fifty years ago today- October 31, 1968- President Lyndon Johnson- in curious timing just 5 days before the Presidential Election- announced that due to progress in the Paris Peace Talks- the United States would quit bombing North Vietnam- November 1st at 9pm local time. This would give the once hopeless presidential campaign of his Vice President Hubert Humphrey a boost. In the polls released that day- which were taken a few days earlier the gap between Humphrey and the Republican Richard Milhous Nixon had narrowed. Nixon was at 40%, Humphrey 37%, Independent George Wallace 16% and 7% were undecided. Nixon who spent the fall trying to run out the clock had to be sweating at this point. Hah, as though the fighting actually stopped.